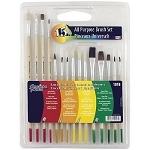 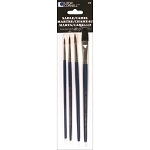 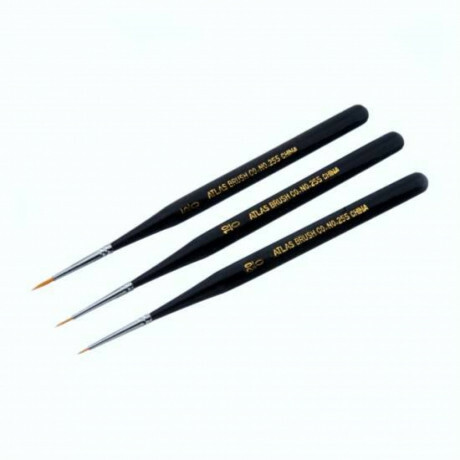 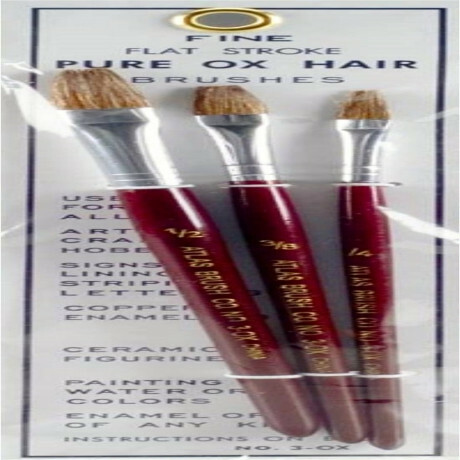 Set of three #3 flat oxhair brushes contains one each 1/2" (13mm) wide, 3/8" (9mm) wide and 1/4" (6mm) wide brushes. 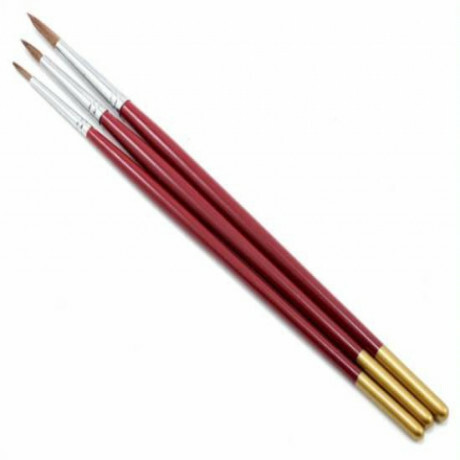 Fine flat stroke design. 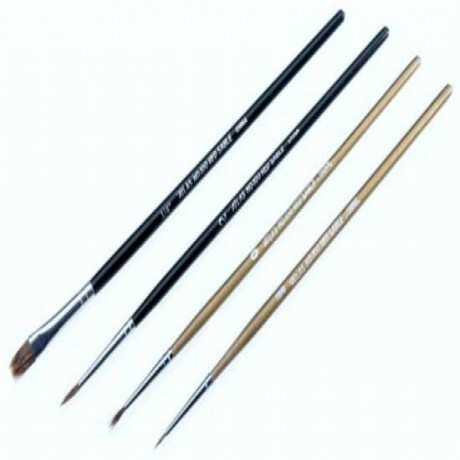 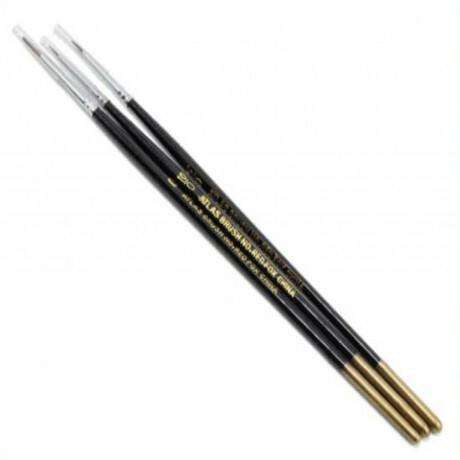 Compatible with with all types of paint including water, oil, enamel, varnish, lacquer, bronze and more. 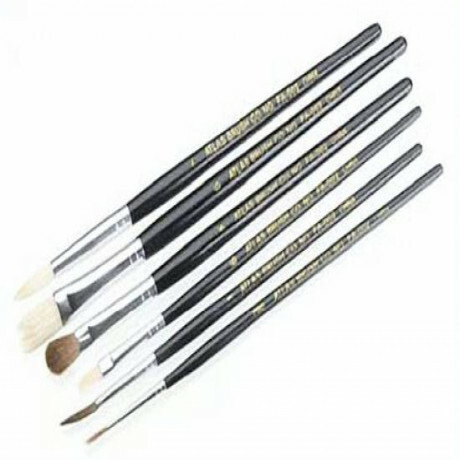 Length including bristles 7-1/2".